Selling is not a strength of mine. But when I worked as a regional merchandiser for a major retailer, I participated in selling workshops because there were times I had to help customers and during busy shopping holidays, everyone had to sell, regardless of position or title. So I learned a sales technique or two in my day. As much as I hate selling, I can’t deny; the sales techniques I was taught, work. When shoppers have too many options to decide between and too many decisions to make, they’ll take the easiest path and not buy. Even though major retailers have a store full of products you could buy, they’re very intentional about leading you down a particular path and drawing your attention to their moneymaking products. 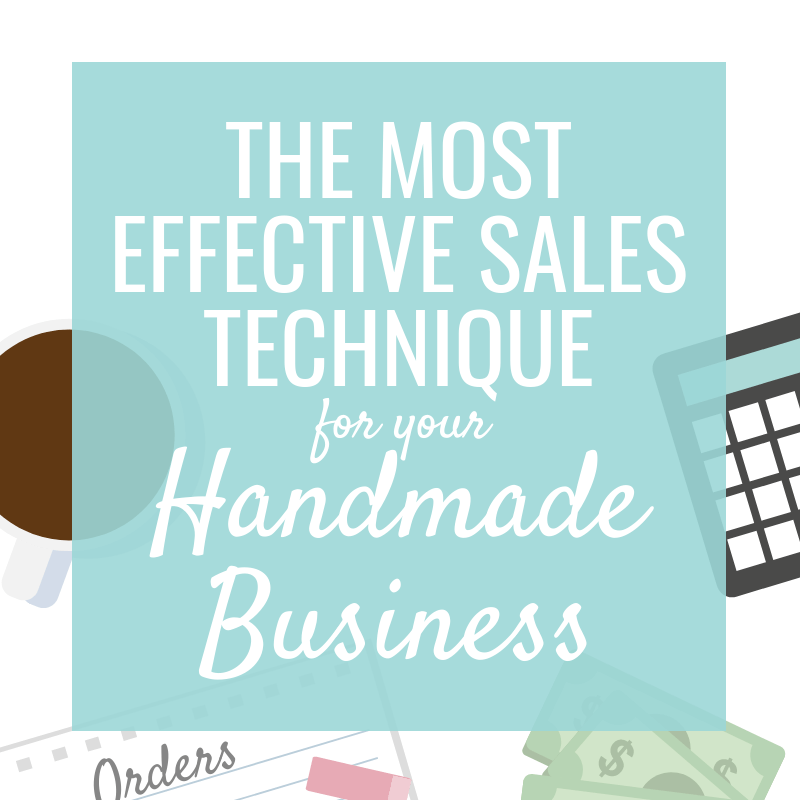 Here are 3 key ways major retailers use the limit options & decisions sales technique and how you can implement them in your handmade business. Sales associates were taught to always start a shopper interaction with an open-ended question. A close-ended question is one that can be answered with a “yes” or “no”. SALES ASSOCIATE: Did you need help finding something today? End of interaction. The sales associate could add a “Let me know if you need help” or “I’ll just let you know about our new arrivals/promotions/etc.” but there’s no personal interaction going on and it feels very sales-y. An open-ended question forces the shopper to open up and share more information. SALES ASSOCIATE: What brings you in today? SHOPPER: I’m just browsing for a dress. SALES ASSOCIATE: What’s the dress for? SALES ASSOCIATE: That’s exciting; I love weddings! What’s the attire? SHOPPER: It’s an outdoor wedding and a little more casual. I’m hoping to find a long sundress. SALES ASSOCIATE: Let me show you a few options we just got in. Just through a short interaction, there’s more of a connection made between the sales associate and shopper. Even if the shopper is a little more closed off, forcing them to answer with more than a “yes” or a “no”, get’s them to open up. And wouldn’t you rather shop with someone who’s interested in where you’re going, what you’re doing, what you love, etc. than someone who’s all business and just wants to tell you about promotions? There’s a reason “merchandiser” is an employee position with most retailers. There’s an art to displaying merchandise in a store; it’s not simply placing it wherever it fits. Fixtures are set up to create a path the retailer wants you to follow (they’re definitely going to lead you past their bestsellers). Product is placed to draw shoppers into the store and displays draw the eye to bestsellers, high-end products or new pieces. Higher priced products are placed out of reach so you need a sales associate to try it on or have a closer look, at which point, the sales associate can sell. Smaller, lower-priced items are usually placed by the cash desk. This not only helps sales associates keep an eye on the “easier to steal” items, it also allows retailers to increase the units/dollar per transaction, as people browse while waiting in line. Price points are low enough, they don’t need a lot of thought and are often impulse buys added to the order last minute. Shoppers may have to pass through the accessory section on their way from the fitting room to the cash desk where there are lots of items that would look great with their new outfit. The placement of each item in a store is deliberate and meant to limit distractions and help you focus on key pieces so it seems like fewer options to choose from and fewer decisions to make. The idea is to limit options but not eliminate them altogether. The options shown to shoppers in a store full of product is carefully selected by the sales associate. A sales associate’s job isn’t to show a shopper every dress in a store just because someone is looking for a dress. Their job is to uncover the shopper’s needs and show the best fitting dress based on those needs, as well as the store’s need to make money. An out of season dress that’s on sale isn’t likely to be pulled as an option unless it’s the last option or exactly what the shopper is looking for. Higher-priced, new and “most likely to be purchased” items are going to be shown first. There’s a particular technique that’s really effective and again, helps limit options and decisions. Once a shopper is in a change room, sales associates will typically check in after a couple minutes to see how everything is fitting. That’s standard procedure for most retailers. But what some of the best sales associates will do is bring options the shopper didn’t even know they wanted, until they see them. Imagine the shopper who’s looking for a dress. She likely wore a casual outfit to the mall and is in the change room, looking in the mirror, seeing herself in a beautiful dress and white socks. The sales associate doesn’t ask if the shopper needs shoes; that could be answered with a “no”. Instead, as the shopper was stepping into the change room, they would ask what size of shoe they wear and let them know they’ll bring a pair of heels to slip on with the dress. It feels simple, casual and noncommittal. It also makes the customer feel more comfortable coming out of the fitting room, at which point, the sales associate/shopper interaction can continue. A simple “how’s everything fitting?” can close off an interaction; a “good” or “okay” reply doesn’t leave much room for the sales associate to continue the conversation. If the shopper comes out of the fitting room, the sales associate can share their opinion, make sure the item is fitting properly, ask what the shopper likes and doesn’t like, ask if she likes the shoes and if she wants to try a different style, etc. 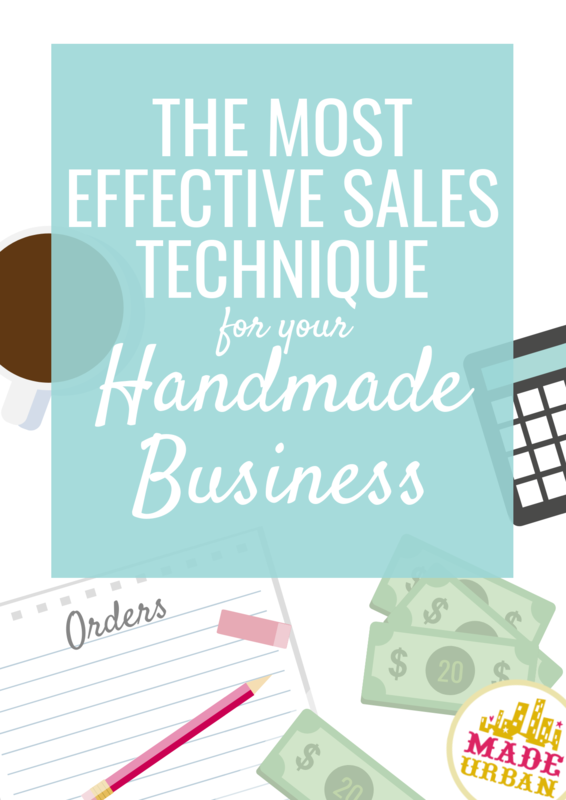 Whether you’re selling at a craft show or online, you can implement similar sales techniques to limit options and decisions. Before jumping into these sales techniques, you also want to consider if you’re offering too many options when it comes to your product. Yes, retailers have hundreds, if not thousands of products available but they also have hundreds, if not thousands of people designing, creating, curating, merchandising, selling, shipping, etc. Handmade shoppers are looking for something unique from an artist. They have a different mindset than when walking into a department store. They aren’t expecting to find everything they need; they’re looking for one really special item and are hoping you have it. If your craft show table or online shop has too much variety, it becomes hard to do everything and do it well. That “one really special item” becomes hard for the shopper to find. Consider if you need to find a niche. If you do, check out this article as it walks you through how to find a niche and provides examples of niches in each category. Craft shows are a different environment and shoppers have less of a shopping purpose. They’re not usually looking for a specific item; they’re there to see what people are making, meet the makers and find something unexpected. Jumping into a “what can I help you find today” won’t be the best approach. In most cases, they don’t even know what they’re looking for. It’s such a small intimate space that if you jump right into a sales/product related question it can come off as pushy. The better approach is to ask an open-ended question unrelated to your products. How’s the weather looking out there? How did you find the lineup to get in the craft show? You got a swag bag?! What’s inside? I love your ___________, where’d you get it? I see you have a bag from __________ vendor…I love their stuff! What’d you get? If the shopper heads right for a product and picks it up, it would be appropriate to ask an open-ended question about the product or share an interesting tidbit or story. What type of hand lotion do you use now? (When a shopper picks up a lotion. A vendor can then explain the differences in ingredients or how the ingredients in the handmade product are superior to most big brands). I made those earrings from vintage gems I purchased on a trip through Europe. I only had enough to make five pairs and those are the last ones. A lot of people don’t realize that scarf can double as a hood. There’s a mirror over here if you’d like to try it on. Yes, this can be done even with a 6 – 8 foot craft show table. 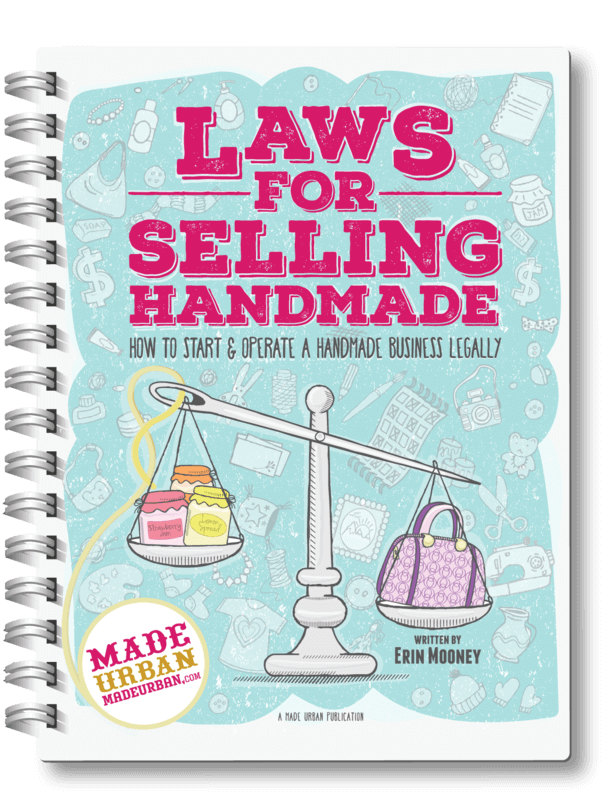 It’s about creating zones, which I teach in my ebook MAKE MORE MONEY AT CRAFT FAIRS. Where are shoppers approaching from and what do you want them to look at first? Those items go in Zone 1. Which products do you create that need a little more “selling”, explaining or have an interesting story behind them? These items go in Zone 2. Which products are great for adding on to a purchase? These go in Zone 3. For more information about creating zones in your space and being profitable at craft shows, check out MAKE MORE MONEY AT CRAFT FAIRS or sign up for my FREE 5-day email challenge: 5 DAYS TO A STANDOUT DISPLAY. Read more about the challenge here or sign up below. The challenge shares some more important lessons from the ebook. If you see a shopper looking at an item, don’t wait for them to ask about another item or discover it on their own; just show them. Here’s the matching ring to those earrings. A lot of people have been buying them together. They look so great worn with a white button-up shirt and jeans. This lotion is the same scent and is nice to have in the bathroom next to the soap, especially in the winter. My hands tend to get so dry. These two photos/paintings are part of that same series and look great hung in a group to make a statement. You can also use your Zone 3 for add-ons. Give shoppers lower-priced items to sift through while you’re wrapping their purchase and completing their transaction. The photo/painting you’re buying also comes in cards. They’re all in this section. I love having them on hand so I don’t have to run to the store just to buy a card…I always forget one when picking out gifts. You can’t start a conversation with online shoppers but you can pique their interest as soon as they land in your shop. Consider what you might say to a shopper to get them to buy if you only had five seconds and could only say one thing. Your product titles, headlines of descriptions, home page text, etc. must wow. Think of where your online shoppers might land. If you have your own website, check Google Analytics -> Behaviour to determine your top landing pages. It could be the home page, a product listing page or maybe a particular blog article that attracts a lot of visitors. Bounce Rate – make sure a top page doesn’t have a high bounce rate. “80% bounce rate” means 80% of people who land on a page, leave that page without looking at other pages of your website; a good indication you didn’t grab and hold their attention or something on your website is giving off a bad impression. Average Time – check out the average time on each page. If visitors are generally only on a page for a few seconds, it’s also not a great sign. If you use an online marketplace, shoppers are most likely landing on a product listing first. Your product title and description (and photos) need to be top notch to keep a shopper around and move them into your shop. Do not overcomplicate your online shop. Remember, the name of the game is limiting options and decisions. If your online shop has 20 categories for shoppers to sort through, it’s too many options. If your website has too many pages people must click through to see your work, again, it’s too many options. Although you may be able to sort your products into 20 different categories, people don’t want to shop that way. Consider your ideal customer, how they’re likely to shop and your niche. But again, sub-categories shouldn’t get carried away and options should be limited. Don’t wait for the shopper to discover the other products in your online shop on their own. Find a way to show or mention other products in product listings and the checkout process. There are likely pages and pages for shoppers to look through so limit their options by showing some of your bestsellers or items that work best together. Don’t just pull any option for them to add on to their order; show the best options. Use the photo section to show items that work great with the item they’re looking at. Show the model wearing the earrings and the matching ring then mention and link to the listing for the ring in the description. Show a photo of the lemon scented soap, lotion and lip balm as a set on a vanity. Mention and link to the lotion and lip balm in the description. Show a photo of your one painting for sale, as well as a group of that painting hung on a wall with similar paintings to make a statement. Mention and link to the additional paintings in the description. You may not have as much control over the checkout process on an online marketplace but you should be able to adjust it on your website. Add a “Frequently Purchased Together”, “You may also like”, “Don’t forget” section on your shopping cart page or an entire step to the checkout process. Online flower shops have this technique nailed down. Before you even put a bouquet in your cart, you have the option to add-on. You can select a standard bouquet or upgrade to a deluxe or premium one with extra flowers. Once you add an item to your cart and are ready to checkout, you must go through a step where the website displays a variety of items you could add to your order; balloons, card, chocolates, teddy bear, etc. You must either select a product or “continue to checkout” to enter your payment information. Take a look at your craft show setup/selling techniques and your online shop to see if there are any opportunities for you to limit options and decisions. Questions about applying this sales technique to your craft show display or online store? Ask in the comment section below! Loving your new letters alot more reading to go but I’m sure all tips can be used like the craft stall one…. Everyone loves my new stall lay out…. I love reading your blog posts so much! I find them incredibly helpful. Would love more examples of how all the things you talk about apply to selling art, prints and related things at shows. Thank you for sharing such helpful information. It’s always a pleasure to read your articles! Thank you for this!! I’m currently in the process of updating all my listing’s SEO & photos etc. This article is super helpful and gave me lots of new ideas!